Vanity Rehab: Cosmetic labels 101-Cosmetic Regulatory Bodies of India and USA. Welcome to the first post under Cosmetic labels 101: "Cosmetic Regulatory Bodies of India and USA." 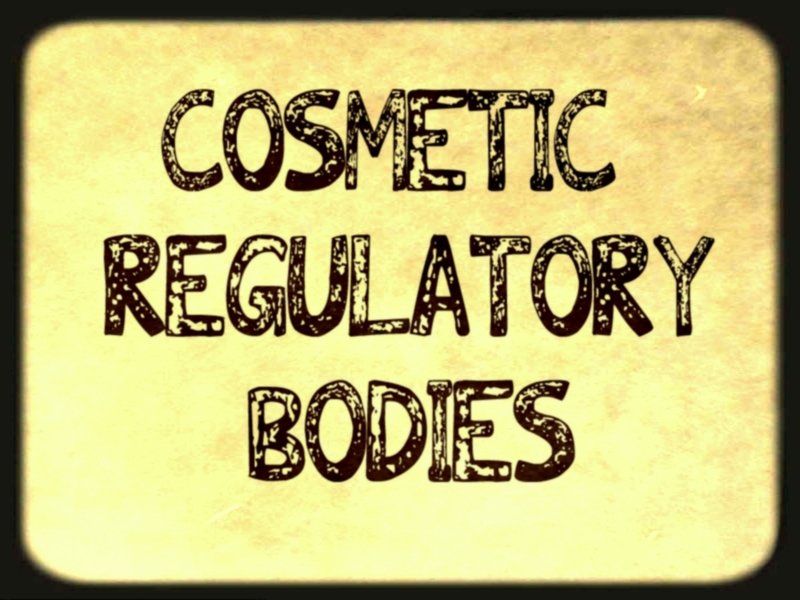 in which you are going to learn about cosmetic regulations and regulatory bodies in India and USA.This post acts as a foundation to first make you understand from where it all starts and then move to other issues in upcoming posts. I chose to explain about the regulatory bodies of only India and USA because they are the origin of majority the cosmetics which are flooding the Indian market and also our Indian regulatory laws are a little dependent on some of the guidelines of Cosmetic regulatories of the USA.However, i do talk about a point or two regarding other major cosmetic regulatory bodies present in the world wherever necessary. In India the regulation of cosmetics is done according to the laws under "The Drugs and Cosmetics Act 1940". "The Drugs and Cosmetics Act 1940" is a Consumer Protection Legislation which is mainly concerned with the standards and quality of drugs and cosmetics manufactured and sold in India. The cosmetic products have to be formulated and manufactured in accordance with Schedule M-II of Drugs and Cosmetics Act 1940 and Rules 1945 and Indian Standards issued by "BIS"-Bureau of Indian Standards. Ok..but what is the regulatory body that implements all these laws to regulate cosmetics in India??? Well..the statement "To each his own" fits perfectly as an answer to this question! Yes! Each state in India has it's own Drug and Cosmetic regulatory body or the 'FDA'(Food & Drug Administration)!!! All of these regulatory bodies/administrations are under the control of central government of India. For example: Maharashtra has it's own FDA(Food & Drug Administration) click HERE to visit their website. These individual regulatory bodies are responsible for the License,Manufacture,Pre market approval and Sale of the cosmetics manufactured in their respective states and also responsible for the Registration and sale of imported cosmetics. Quality control and testing of the finished cosmetic products is done by the "CDL"-Central Drugs Laboratory" which is a national statutory laboratory of the government of India for Quality Control of Drugs and Cosmetics under the direct administrative control of the Drugs Controller General, Directorate General of Health Services, Nirman Bhawan, New Delhi, Ministry of Health & Family Welfare. Wait! what about the regulation and evaluation of the safety of raw material or ingredients before they take the form of a finished product?? Well..this is where our laws depend a little on the USA! Yes, we depend on "PCPC"- Personal Care Products Council and "CIR"-Cosmetic Ingredient Review which is a PCPC funded panel for the cosmetic ingredient safety data. We'll learn about the PROS & CONS of this kind of individual regulatory bodies in the upcoming posts. The Official government Food, Drug and Cosmetic regulatory body of the USA is the USFDA/FDA(United States Food And Drug Administration).Unlike india there are no seperate regulatory bodies for each state in the USA. But,does the FDA have full on powers to regulate the cosmetics? Seems that it doesn't and is just a figurehead!!! *Figurehead: A nominal leader or head without real power. So,who has the real power then? The PCPC also funds the voluntary industry program known as the "CIR"- Cosmetic Ingredient Review process to evaluate the safety of personal care product ingredients. The fragrance industry allover the world is not regulated by any official government regulatories! Instead there is a private trade organisation called "IFRA"-International Fragrance Association.IFRA is the trade organisation that represents the fragrance industry allover the world.The membership is is available to all the fragrance ingredient and compound manufacturers and suppliers.However,the membership program is voluntary which means a particular company may or may not choose to be a part of it. We'll learn about the PROS and CONS of this kind of self regulations in the upcoming posts. Other major cosmetic regulatory bodies in the world include the European,ASEAN(southeast asia),Japanese and Canadian regulatories. In the next post we are going to learn about how the regulatory bodies explained in this post work,what they do/can do and what they don't/can't. NOTE: I referred many reliable resources which are listed below to gather this information. The book: "No More Dirty Looks".